Search Results for "movie theater screen"
Cinema Green Screen. Blank Movie Theater Screen With Green Screen Background. Blank movie theater screen with green screen background in empty cinema hall. 1960s: Drawing of movie theater, dark screen with single star. 1960s: Drawing of movie theater, "Ready, GO!" Dark screen with single star. 1960s: Drawing of crowd of people sitting in chairs. Hand holds up finger, star appears on fingertip. 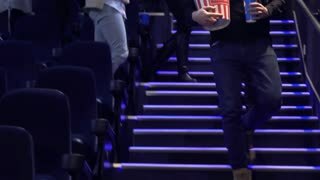 People in movie theater hold up fingers, look at star on screen. 1960s: Black sky, stars, one star moves back and forth. 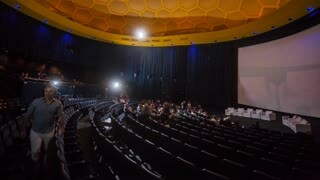 Drawing of people sitting in movie theater, "Let's do an experiment together" appears on screen. 1960s: Drawing of movie theater, crowd of people hold up fingers, all close one eye, look at star on screen. Finger covers star. 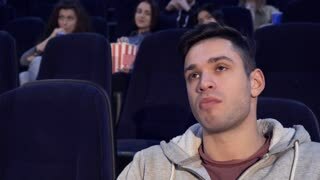 CU side shot of a young man sitting in a movie theater watching and reacting to a funny scene from a movie his face being highlighted by the screen. Film projector beam with black background easy to blend by "screen" mode . 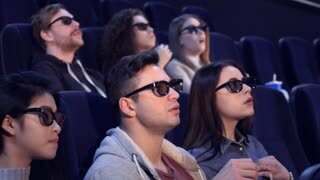 Close up of a beautiful young woman gently smiling as she watches a movie in a movie theatre.